Bethesda Games Studios is coming out on the 30th of August, with their new chapter of the action, role – playing video game Fallout 4 : Nuka World. 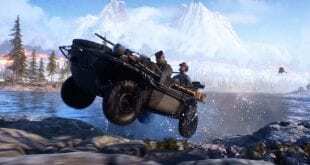 The game can be played on PC, Play Station 4, and Xbox One. So, ladies and gentleman, grab a chair, reach lvl 30, join the amusement park and catch some Nuka – Express. First, SFNE has a river running down the right side of the park, which looks strikingly similar to the one seen in the trailer. Secondly, it’s pretty close to Boston and the only other noteworthy amusement park close to the Fallout 4 map is Canobie Lake Park, which doesn’t have a river near the park at all. Lastly, it’s pretty clear that it’s not Hershey Park in PA or in Florida simply because one the main features of the DLC is to take over commonwealth settlements with your raider gang. It wouldn’t make sense at all to have Nuka World 3+ hours (by car, consider how far of a walking distance PA or Florida is from Massachusetts) from the base game map when you’re going to be taking over the commonwealth with your Nuka World raiders. 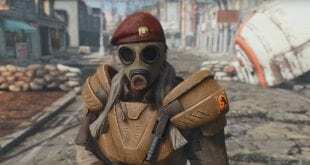 The difference is that instead of horse armor and the other tinier DLCs for Oblivion we get Nuka World. And honestly, I find it superior to the model set by Fallout 3. I’d much rather have one or two giant worlds to get lost in and content that interacts with the base game instead of quest-lines that give only like a weekend’s worth of content at best, even if the set-pieces are nice. For those of you that don’t know, DLC is a extra content, that you have to download online, it is meant for a better retention, you have greater game longevity and richer game experience. There are 6 DLCs: three of them are Workshops, which add to building activities; three are story-based, in increasing order of complexity. Two of them slightly overlap. Automatron is really a building add-on, with a small story thrown in; it’s really to get you robots. Valult-Tec is a more extensive building DLC, but also has some small story elements. 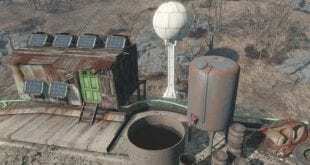 Wasteland Workshop was a number of QoL changes such as the Fusion Generator, and other ideas implemented partly from new stuff from Bethesda, partly from player feedback. Far Harbor, and the upcoming Nuka-World, are much larger. Story-based, and they expand the map (or, well, add new maps technically). FH extends the ongoing story of the Fall Out 4 world. Not in the NW beta so can’t describe that one! There are a ton of places not on the map. Some are little vignettes that aren’t very extensive; some are out-of-the-way in marked areas that might be easy to miss on a casual glance, like the door into Dunwich Borers (hint hint); and some are just confusing. Tip: all enter-able doors are bright. It’s easy to see from a moderate distance which buildings have interiors; the door will always be lit by something. A porch light still on, frequently a few candles on the steps or around it, etc. It seems completely consistent, I’ve never found a lit door I couldn’t enter, and other than quest locations, I don’t think I’ve found a random location’s entry point that wasn’t lit at least a little by something. I’m currently using an AK-74 with a suppressor and reflex as my sort of patrol gun. Then I’ve got an AR-15 in 5.56 with a 3.5 scope for medium range. For long range, I use another AR chambered in .308 with the eradicator scope. I really like the balance that the armor from that mod adds. Rads are still an issue, explosives are still an issue, but they’re much more manageable. Fully decked out armor from that mod makes survival mode the perfect difficulty, in my opinion. 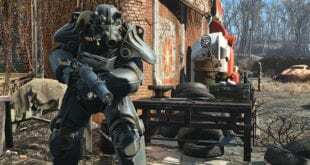 The only thing I don’t like is that the bigger rifles (anything that fires .338 Lapua or .50 BMG) aren’t really a viable option unless you’re in power armor. Then the super heavy stuff like the added mini guns and artillery are barely viable in power armor. In order to run those, you basically have to strip everything out of your inventory, minus the bare necessities. Oberland Station: It’s close to the content down South, and practically around the corner from Hangman’s. It’s got more room than the Alley, if you feel like building up a more expansive area. Oberland has a lot more usable build area then you realize at first (even taking into account that stupidly steep hill to the North – I used the Shack Foundation stilts to slap a main building over that). For fun, the buildings going up in order reflect what materials I had on hand: first wood and sheet metal, now concrete bunkers. It doesn’t have as much crap to scrap as Starlight, but there are a few key locations within striking distance that have a ton of useful salvage. Some lying around, some – ah – “harvested” ;). 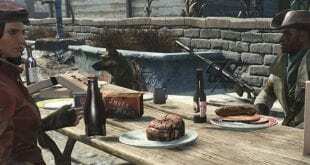 Once you’re living on the edge of forever for the harder content, you can move to one of the “south of the border” settlements while Oberland is still not too hard to get to when you need to hit your adhesive farm.